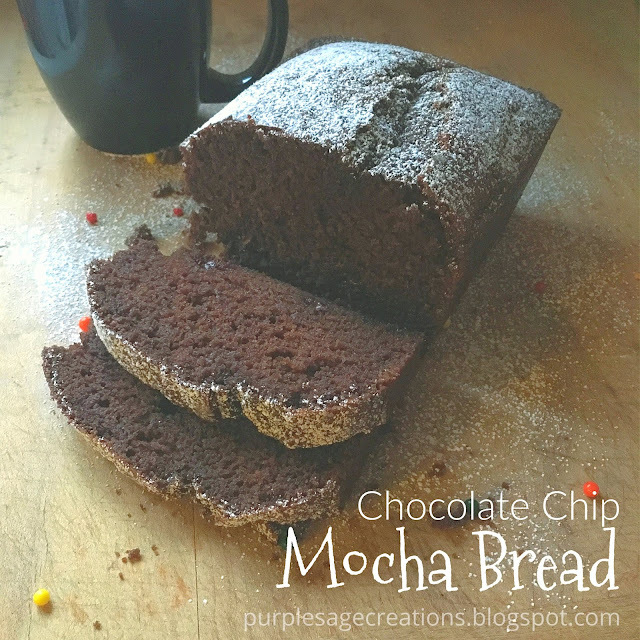 As soon as I saw this recipe for chocolate chip mocha bread from Back for Seconds I knew I had to try it. It has all the elements of a mocha in a mug, the chocolate, coffee, and milk, but it fits on my plate. I whipped it up in a jiffy. I think it's best served warm. But my teen daughter thought it was super yummy with a cup of coffee. 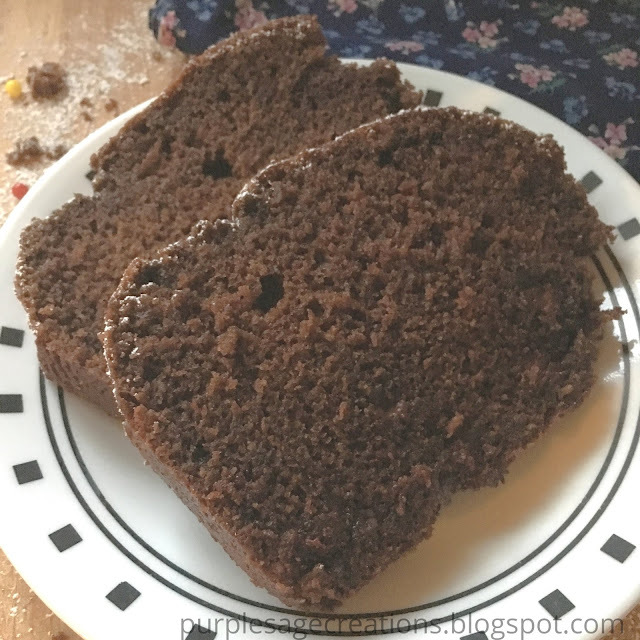 It can be enjoyed as a breakfast or a snack. I'm adding it to my scrumptious list.